Novelist/poet/performance artist/ blogger Dennis Cooper’s work is definitely not for everyone, and it’s not meant to be. Almost a decade and a half of original work, including a gif novel-in-progress, might be lost forever. She's sold six million books about the darker side of suburban life. So why is Liane Moriarty the most successful Australian author you've never heard of? Harry Potter fans of all ages are invited to watch dawn break over the Hogwarts castle model while enjoying an exclusive breakfast reception. The iconic castle took a team of 40 people seven months to build from scratch with over 300 fibre optic lights installed to simulate lanterns and torches. Gilbert announced the news in a Facebook post on Friday, writing, "I am separating from the man whom many of you know as "Felipe" — the man whom I fell in love with at the end of the Eat, Pray, Love journey. He has been my dear companion for over 12 years, and they have been wonderful years. Our split is very amicable. Our reasons are very personal. Author and war correspondent Michael Herr had died at the age of 76. Herr is best known for his 1977 memoir Dispatches, as well as co-writing the screenplay for Full Metal Jacket. Nook is pulling out of the UK and transferring its UK customers to Sainsbury's. A glaring lack of diversity in children's books has led Simon & Schuster Books for Young Readers to launch an imprint centering on Muslim characters and stories, The New York Times reports. The wordsmith, who was struggling financially, broke into a branch of Sparkasse bank before it closed in his native Leipzig in eastern Germany. Wearing a mask, he yelled at customers to lie on the floor and pointed an alarm gun at staff, demanding they fetch him money. When Johannes Gutenberg invented the printing press he changed the world. Now a team of scientists in the Netherlands has taken this to the ultimate extreme. Through the manipulation of single atoms they have made the world's smallest hard drive. It is so dense the technology could store all the world's books on device the size of a postage stamp. Do You Want To Work From Home Writing and Selling Ebooks? Have You Always Dreamed of Having This Type of Lifestyle? Do You Envy Others Who Are Already Living Your Dream? Well, what if I told you that you could start living your dream within the next 7 days? How to Be a Creative Genius and Have an Abundance of Ideas Plus the Inspiration and Motivation to Write. Want to write but stuck for ideas? 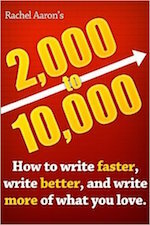 Well, with this ingenious ebook, you'll never be stuck for anything to write ever again. Fiction or non-fiction. Learn how you can earn $100K/Year and more writing for the internet. 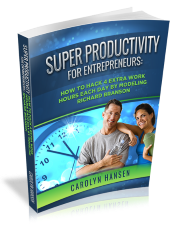 This ebook is coauthored by two of the most prolific online writers, myself (Ruth Barringham) and Nick Daws. Is It Really Possible That YOU Could Run a Popular, Thriving Blog? Pull off all the technical stuff that once looked so daunting. Incorporate design elements that make a blog attractive to readers. Create a steady stream of visitors, turn those visitors into subscribers, and turn those subscribers into a business.